Describing in detail one of the most inventive periods in the history of English cinema, the volumes in this celebrated series are already established as classics in their field and represent a major contribution to international film studies. Each volume details the highlights of a single cinematic year, including details of production, manufacturers of equipment, dealers and exhibitors. This is augmented by numerous carefully chosen illustrations and a comprehensive filmography of English films, fiction and non-fiction, for the year. Particular attention is also paid to the ways in which the cinema of other countries affected the English industry. 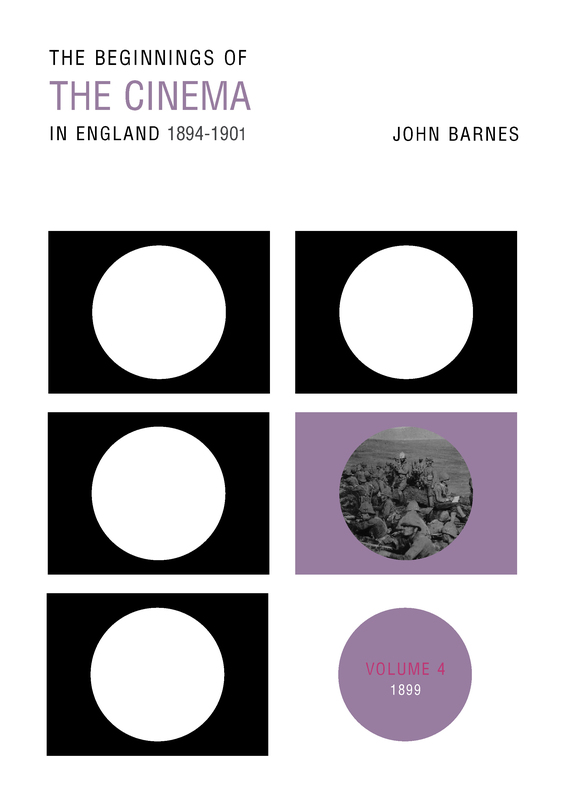 Volume 4 examines how in 1899 two major events influenced British cinema. The Boer War created a boom in film production as a result of an insatiable demand for news and pictures of the campaign brought on my fervent patriotism. Though actual battle could not be filmed, ‘fake’ war films based on incidents from the campaign began to be produced by English filmmakers. The University of Exeter Press editions of Volumes 2, 3, 4 are re-jacketed re-issues of the first editions. The long-awaited fifth and final volume in the series is published for the first time by UEP, and edited and introduced by Richard Maltby, Professor of Screen Studies, Flinders University, Australia.